Every now and then I’ve needed to inspect the Spotlight metadata for an audio file, usually to find its UTIs or something along those lines. Many years ago I wrote about Spotlight scripting and a one-line mdls script to read this data. But as the years passed, I’d been adding features to this tool as my look-ups became more specific. 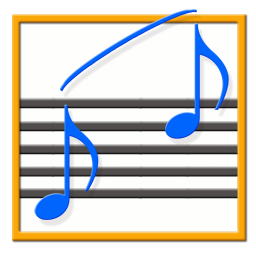 Show Me The Metadata will display the audio metadata and the Spotlight metadata for either the file of a selected track in iTunes or a user-selected audio file. The display areas are scrollable. The window and the heights of the display areas are resizable. It also includes additional features to display embedded artwork and activate the Finder’s Information Window for the file. You won’t use this a lot, but it’ll be handy when you need it. 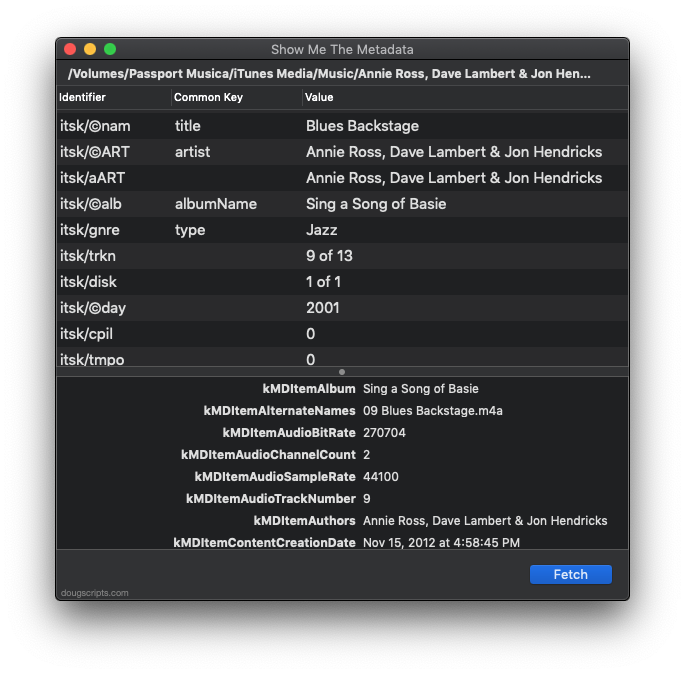 Show Me The Metadata is for macOS 10.10 and later and is free to use with a donation nag. More information and download is on this page.